Diani Beach Hospital has the best maternity facility in the region. An expectant mother’s concern (indeed her whole family’s concern) is that she should be able to deliver safely with the best possible outcome for both her and her baby. Here is where we step in – with an ultra-modern, immensely hygienic, spacious centre manned by some very experienced midwives, we are able to now make sure that pregnant mothers have the best possible results. 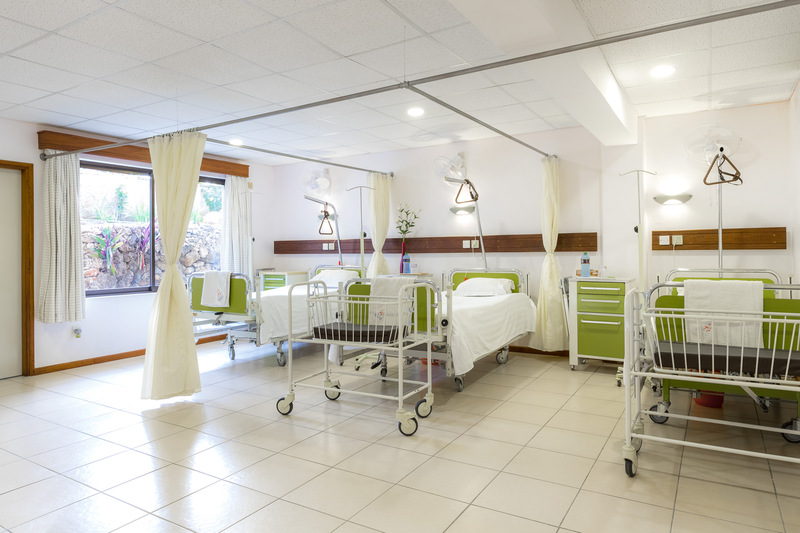 Our maternity centre is conveniently located in the hospital in serene surroundings and the mother in labour can have the most amount of privacy she needs while still being under the watchful eyes of our staff. Bronze room: The Bronze room is a well appointed general maternity ward which can accommodate 3 mothers in labour. The privacy is not compromised even in this general ward and after labour the mother and child have ample space to bond together. A photo of this room is above. Silver room: The Silver room has space for 2 mothers and their babies and is the 2nd category of our rooms. Gold rooms: The Gold rooms are our top-tier private rooms and each mother has the room for herself both before and after delivery. The mother is given the option of labouring and delivering in the Gold room without having to use the labour room. In case of difficult labour or any imminent danger to either the mother or the baby we have specialists on standby for immediate intervention. The maternity is backed by a major theatre that is ever in readiness for emergency C-sections. For our expectant mothers we are pleased to inform that we have an ante-natal clinic run by qualified doctors and midwives to take them through their pregnancy. Routine consultations, medical examinations, laboratory work-ups, pre-natal immunizations are all explained and delivered in a timely manner. Following the delivery of the baby, education about breast feeding, immunizations and nutrition are imparted to the new parents and followed upon. We have various package rates for deliveries and we request you to contact our Administration for more details.